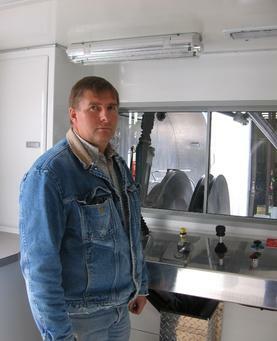 Brian (left) started Pulse Wireline Services in the spring of 1996. After years of working for a large corporation, it was time he ventured out for himself. 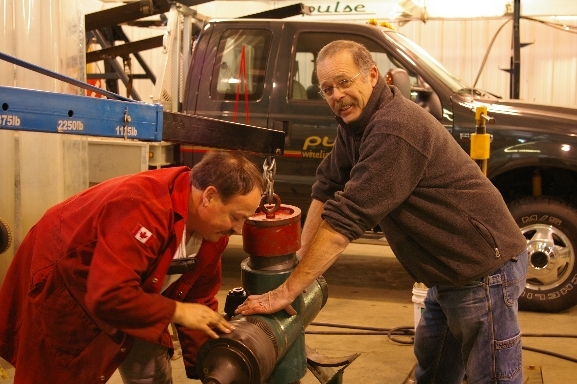 With over 35 years of experience in the wireline industry, you can trust you will be in good hands. Murray Barrett (pictured above with Roger Gendron) was a longstanding memeber of our crew, who worked with us for thirteen years. He has since retired to the Comox area of Vancouver Island and his laughter and experience are often missed. Good luck in your retirement Murray - we wish you the best! These gals work behind the scenes as the Accounting and Administrative component of Pulse Wireline. A proud family run business, Bev (Brian's wife and co-owner of Pulse Wireline) has been working with Brian since the company began, with Kristi (their daughter) joining the team years ago as well.